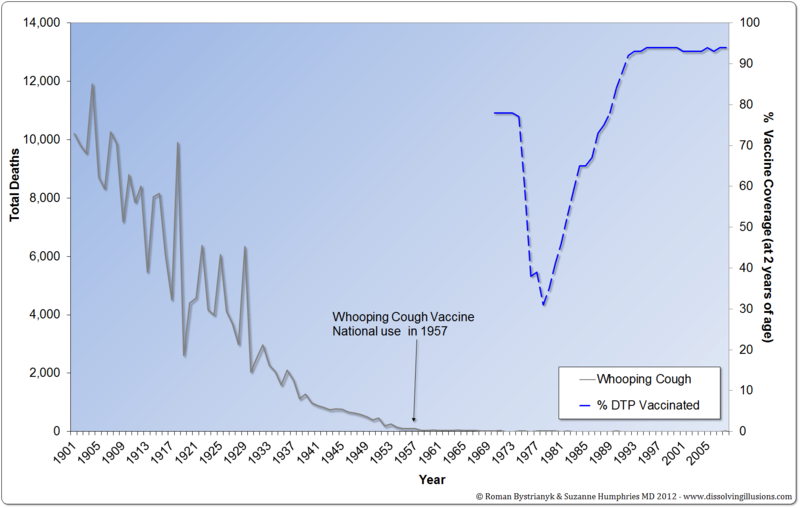 Paul Offit talks in his recent book Deadly Choices—How the Anti-Vaccine Movement Threatens Us All about how the whooping cough vaccine has reduced deaths from that disease from 7,000 to only 30. The article in the journal Pediatrics is quite damaging because it would have been read primarily by doctors, leaving many with the impression that vaccines were completely responsible for the decline in deaths. 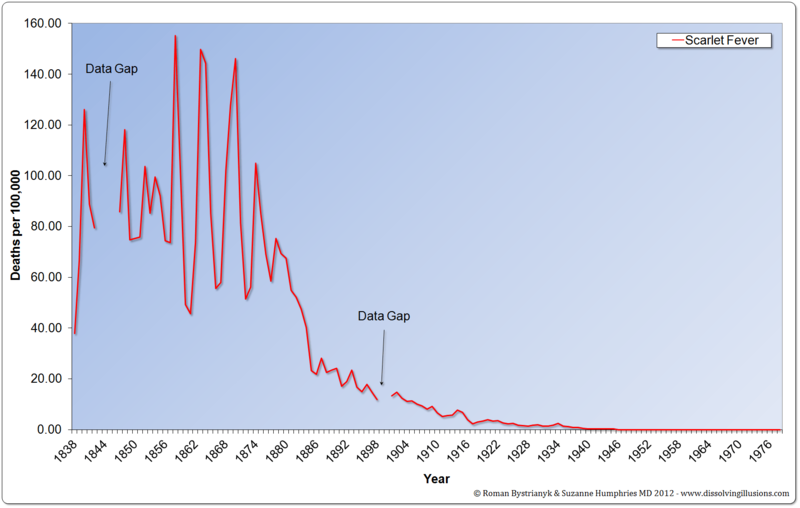 The actual number of deaths by the time of the introduction of the DTP vaccine was approximately 1,200—not the 5,000 to 10,000 often cited. Again, this faulty thinking that vaccines were responsible for the lion’s share of mortality decline is pervasive in all corners of society. 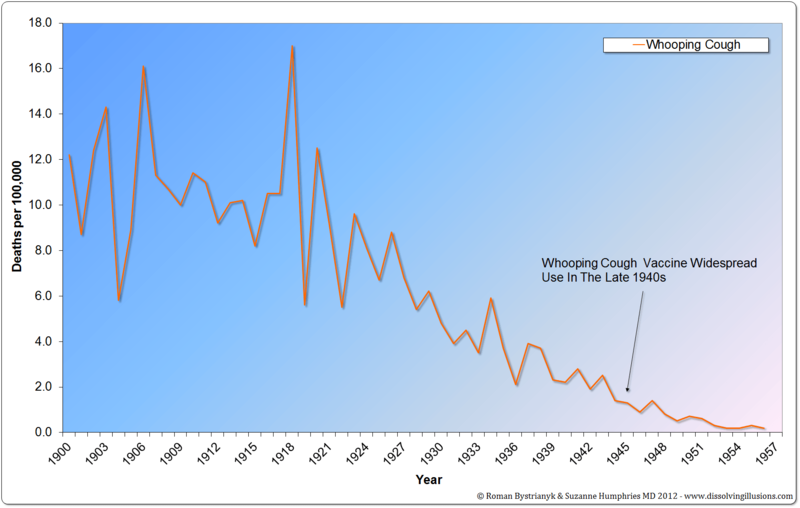 Let’s take whooping cough as an example. In 1979 Sweden withdrew use of the DTP vaccine on the basis that it was not effective and possibly unsafe. 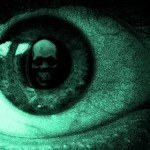 The fear, of course, would be that with lower vaccination rates, the death rate would increase. So what happened in this case? 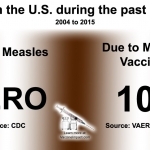 Let’s focus on another infectious disease—measles. Keep in mind that by 1963, almost no one died from measles. 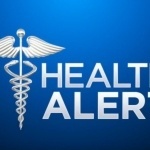 During this year, the whole of New England had only five deaths (Maine: 1, New Hampshire: 0, Vermont: 3, Massachusetts: 0, Rhode Island: 1, Connecticut: 0) that were attributed to measles. 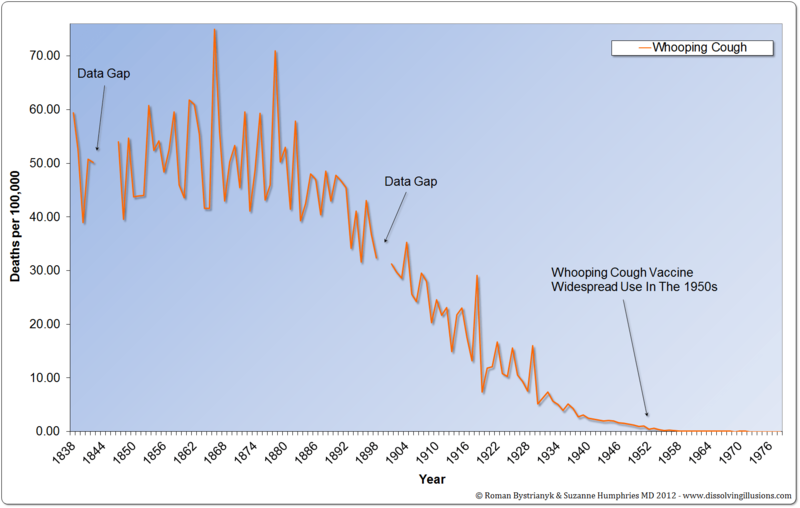 Deaths from asthma were actually 56 times greater than from measles during that year. 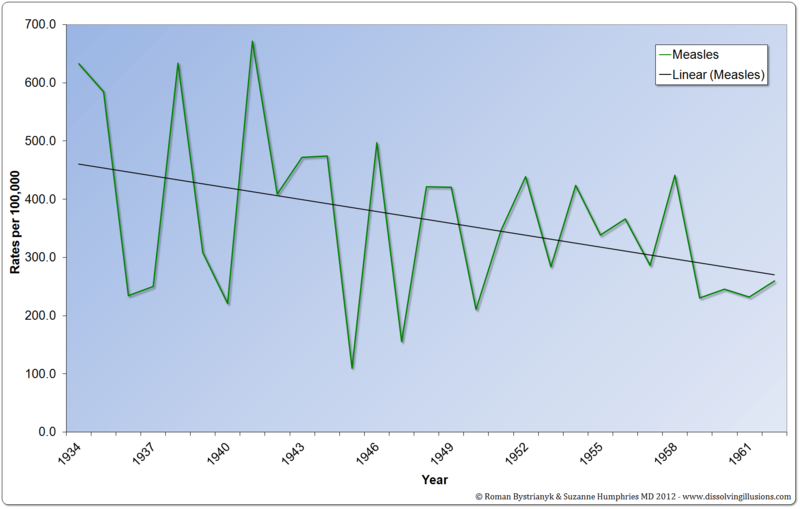 Measles incidence did apparently dramatically drop after 1963. But can this drop be completely attributed to the success of the measles vaccine? 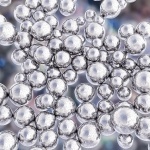 The early measles vaccine that contained “killed” virus was an aluminum-precipitated vaccine produced from formaldehyde-inactivated monkey kidney cell cultures. A study from 1967 revealed that the vaccine could cause pneumonia as well as encephalopathy (inflammation of the brain). The killed vaccines were quickly abandoned. But there were also significant issues with the live vaccines, which were not highly attenuated and produced a “modified measles” rash in about half of those injected—essentially equivalent to a case of measles. Forty-eight percent of people had rash, and 83 percent had fevers up to 106°F post-injection. 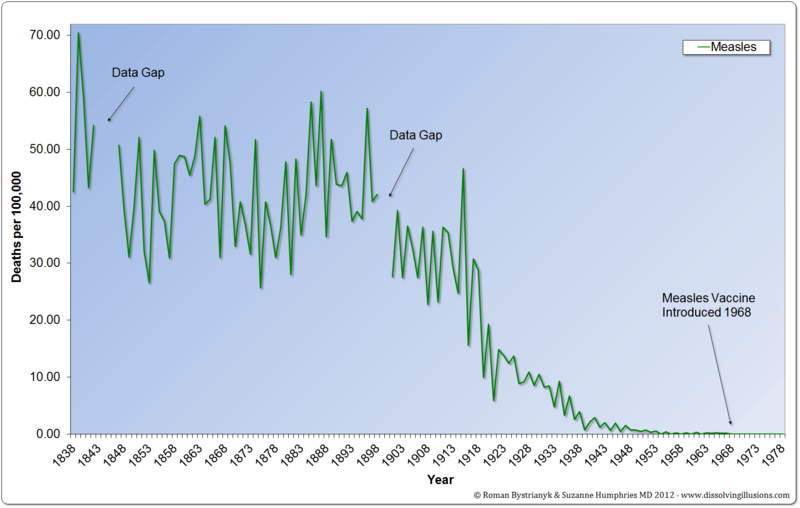 So how did measles incidence drop so dramatically after the 1963 vaccine? In part, it had to do with a definition. If you had a high fever and you had a vaccine, of course you didn’t have measles even if you were sicker than you would have been if you contracted measles naturally. When we hear about vaccines, we are often told a simple story of how they stimulate antibodies. The theory goes that the stimulation of antibodies creates a memory of a disease so the next time you encounter it, your body will quickly defeat the enemy. It’s a nice, simple, and easy-to-remember story. Believing you understand the immune system because you hear the words “antibodies” and “protection” mentioned together is like thinking you know how a car really works because you see it has wheels. The immune system is a highly complex, still-poorly understood entity, composed of many different cell lines, each producing different chemicals that are released into the blood. 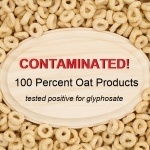 These chemicals are used by the body and are affected by age, stress, nutritional status, environment, and a whole host of factors that are barely understood. 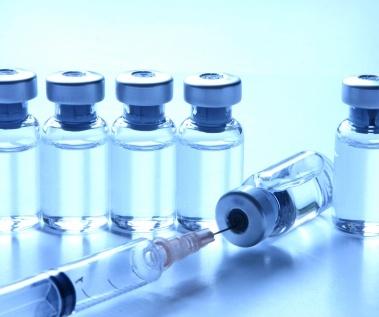 Children with a deficit in antibody production, called agamma-globulinemia, recover from measles just as well as normal antibody producers, and this has been known since the late 1960s when vaccines were being developed and advanced. But antibody response is really the only thing that is talked about and promoted when it comes to vaccines. Because this knowledge disturbed the simplistic antibody-protection paradigm, it was considered a “disconcerting” discovery in this 1968 medical paper. How does nutrition play a role in disease? Discovered in the 1920s, vitamin A was dubbed the “anti-infective” vitamin. It alone has a tremendous impact on measles deaths. During the 1990s, mortality reductions of 60 to 90 percent were measured in poor countries using vitamin A in hospitalized measles cases. Nutrition and other factors have a big impact on measles, so why aren’t we talking about them at all? Because the emphasis is always on a single, highly lucrative medical procedure—vaccination. 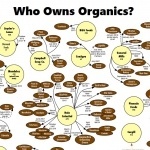 This sole paradigm has swept virtually all other strategies to the wayside. 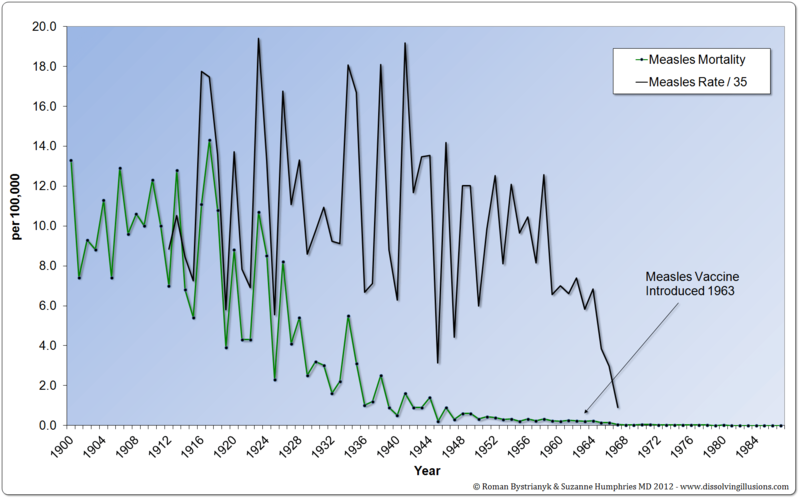 Because of the zealous pro-vaccine bias that permeates society, the true forces that drove the major decline in deaths from infectious diseases are not acknowledged. At most, there is a slight admission that “sanitation” has some effect, but better medical care and antibiotics are still given the credit. Groups of individuals who have anointed themselves as “skeptics” seek to derail anything that questions vaccination. 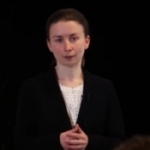 The definition of skeptic used to be “one who instinctively or habitually doubts, questions, or disagrees with assertions or generally accepted conclusions,” but this definition in its modern usage has been hijacked and transformed to someone that essentially blindly supports any orthodox position as gospel. These people will continue on their crusade of supporting vaccines at all costs and to assail anything that might question their myopic view. If those people had a desire to learn the truth, perhaps they would peek beneath the hood of infectious diseases and vaccines, and learn a little more. Imagine what could be in the trunk! 2. 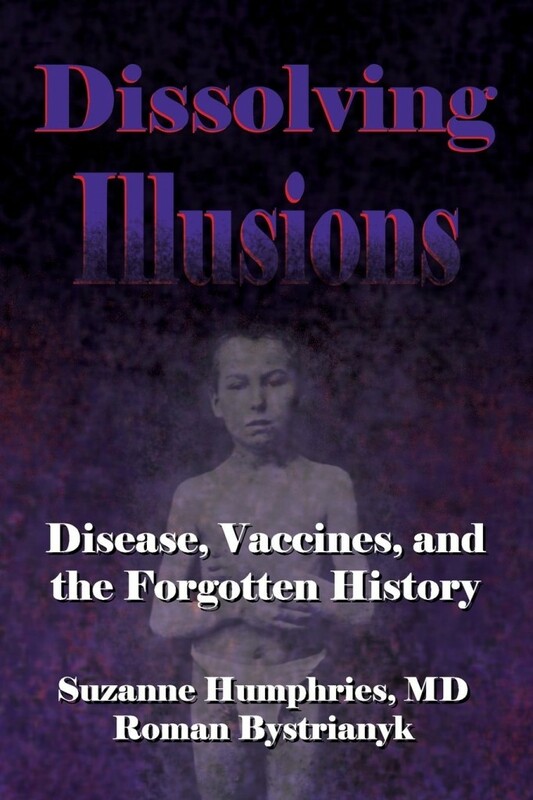 Paul A. Offit, MD, Deadly Choices—How the Anti-Vaccine Movement Threatens Us All, 2011, p. xii. 3. James D. Cherry, MD MSc; Philip A. Brunell, MD; Gerald S. Golden, MD; and David T. Karzon, MD, “Report on the Task Force on Pertussis and Pertussis Immunization—1988,” Pediatrics, June 1988, vol. 81, no. 6, Part 2, p. 939. 5. John B. McKinlay and Sonja M. McKinlay, “The Questionable Contribution of Medical Measures to the Decline of Mortality in the United States in the Twentieth Century,” The Milbank Memorial Fund Quarterly, Health and Society, vol. 55, no. 3, summer 1977, p. 425. 7. Record of Mortality in England and Wales for 95 Years as Provided by the Office of National Statistics, 1997; Health Protection Agency Table: Notification of Deaths, England and Wales, 1970–2008. 8. Edward Rothstein, MD, and Kathryn Edwards, MD, “Health Burden of Pertussis in Adolescents and Adults,” Pediatric Infectious Disease Journal, vol. 24, no. 5, May 2005, p. S44. 9. Vital Statistics of the United States 1963, Vol. II—Mortality, Part A, pp. 1–18, 1–19, 1–21. 10. Vincent A. Fulginiti, MD; Jerry J. Eller, MD; Allan W. Downie, MD; and C. Henry Kempe, MD, “Altered Reactivity to Measles Virus: Atypical Measles in Children Previously Immunized with Inactivated Measles Virus Vaccines,” Journal of the American Medical Association, vol. 202, no. 12, December 18, 1967, p. 1080. 11. “Measles Vaccine Effective in Test—Injections with Live Virus Protect 100 Per Cent of Children in Epidemics,” New York Times, September 14, 1961. 12. “Thaler to Hold State Senate Hearing to Find Fastest Way to Expedite Plan,” New York Times, February 24, 1965. 13. Jane E. Brody, “Measles Will Be Nearly Ended by ’67, U.S. Health Aides Say,” New York Times, May 24, 1966. 14. Lisa Belkin, “Measles, Not Yet a Thing of the Past, Reveals the Limits of an Old Vaccine,” New York Times, February 25, 1989. 15. B. Goldman, “The Bodyguard: Tapping the Immune System’s Secrets,” Stanford Medicine, summer 2011. 16. P. J. Lachmann, “Immunopathology of Measles,” Proceedings Royal Society of Medicine, vol. 67, November 1974, p. 1120. 17. “Measles as an Index of Immunological Function,” The Lancet, September 14, 1968, p. 611. 18. Wafaie W. Fawzi, MD; Thomas C. Chalmers, MD; M. Guillermo Herrera, MD; and Frederick Mosteller, PhD, “Vitamin A Supplementation and Child Mortality: A Meta-Analysis,” Journal of the American Medical Association, February 17, 1993, p. 901. 19. Fred R. Klenner, MD, “The Treatment of Poliomyelitis and Other Virus Diseases with Vitamin C,” Southern Medicine & Surgery, July 1949. 20. “Cinnamon as a Preventive of Measles,” American Druggist Pharmaceutical Record, New York, November 1919, p. 47. 21.J. M. Heffernan and M. J. Keeling, “Implications of Vaccination and Waning Immunity,” Proceedings of the Royal Society B, vol. 276, 2009. 22. D. L. Levy, “The Future of Measles in Highly Immunized Populations: A Modeling Approach,” American Journal of Epidemiology, vol. 120, no. 1, July 1984, pp. 39–48.